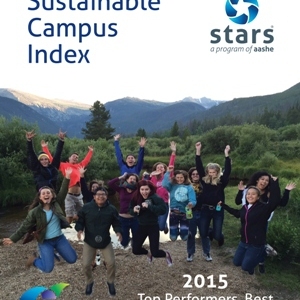 The 2015 Sustainable Campus Index highlights top-performing colleges and universities in 17 areas, as measured by the Sustainability Tracking, Assessment & Rating System (STARS). The Index also highlights best practices from over 50 U.S., Canadian and Mexican institutions that have submitted a STARS report in the last 12 months. Average trends in each impact area based on institution type and country are also included. 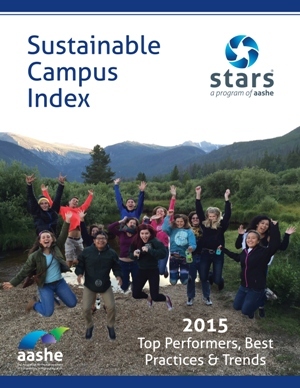 Higher education is making great strides in advancing sustainability, and STARS institutions have achieved major milestones in the last twelve months. Participation in STARS surpassed 700 institutions in 2015, and annual reports submitted increased for a second year in a row. In January 2015, Universidad de Monterrey became the first institution outside the U.S. and Canada to earn a STARS rating. Submissions from Canadian institutions doubled in comparison to last year.